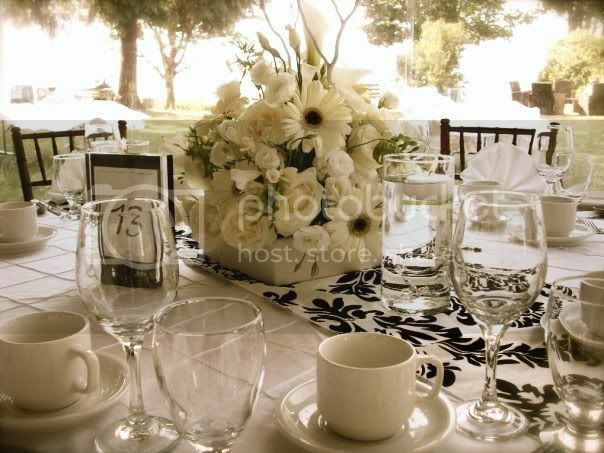 Eclectic taste can be difficult to work with at times. 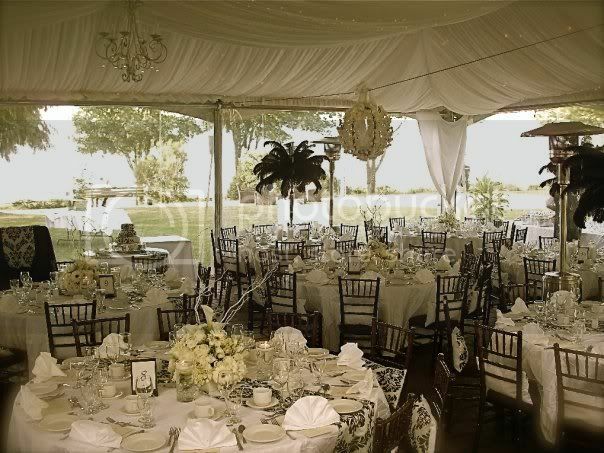 For Tina, her vision included modern patterns, with crisp whites, soft & hard accents and most of all... lots of bling! 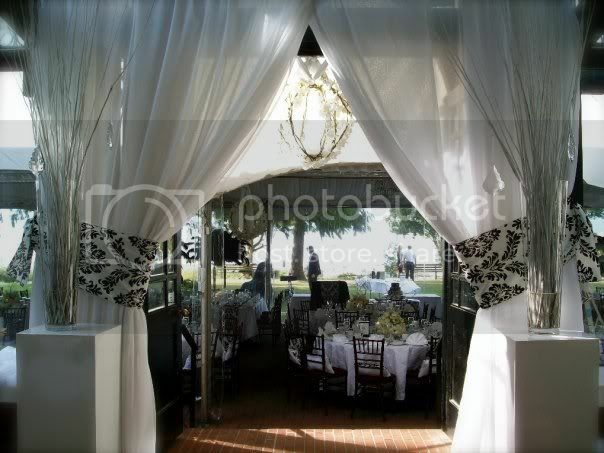 To achieve this, we chose a black & white Damask runner on top of a white taffeta overlay. 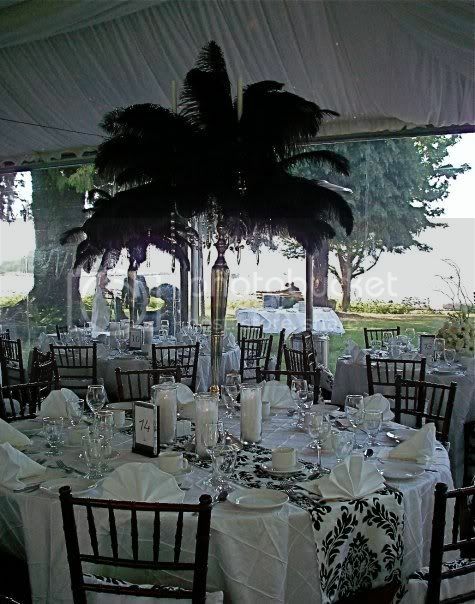 Centerpieces were alternated with elaborate candelabras with ostrich white feather toppers and low modern pomanders, each accented with a shabby sheek branch. 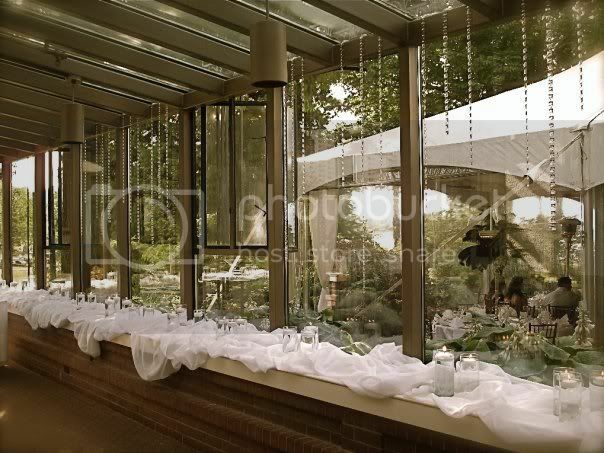 To soften the look, cylinder vases with filled with feathers & crystals, and illuminated with a floating puck candle. 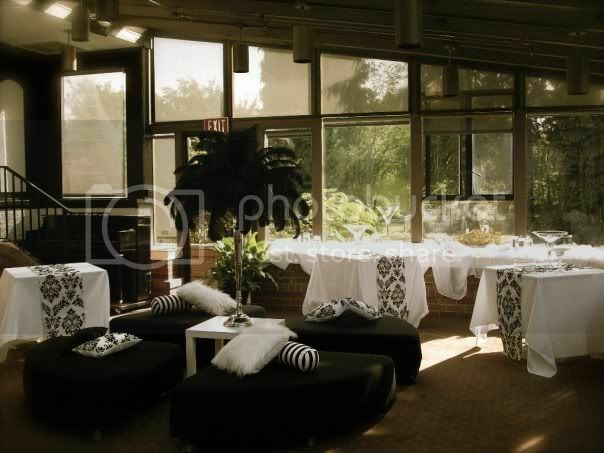 A princess like dance floor and two lounge areas completed with look and wow's guests through an event to remember.